I had expected things to slow down and ease up after finishing my thesis stuff, but boy was I wrong. The past few weeks have been a bit crazy, and have included lots of grading/teaching related things, rewriting my thesis paper (which is now over 30 pages long), lots of art department obligations, and a trip to Colorado. The Colorado trip was an absolute highlight. Scott and I went out to Ouray, Colorado over Valentine's weekend, so that he could take part in a weekend long, mountaineering seminar of sorts. Since he was out climbing all day on our first and last day there, I was able to relax and explore Ouray a little bit. I didn't photograph nearly as much as I normally would, in part because I needed a mental break from photography. In fact, the first day in Ouray I didn't take a single photograph. I used my film camera more than my digital as well, so hopefully some of those will turn out and I will be able to share them after getting the film developed. I know I say this about a lot of places, but I completely fell in love with Ouray during our short stay. As soon as we began the trip home I started to plan our next trip in my head. The town is filled with old, Victorian style homes, and lots of cool little shops. There isn't a chain restaurant or store in town in fact. 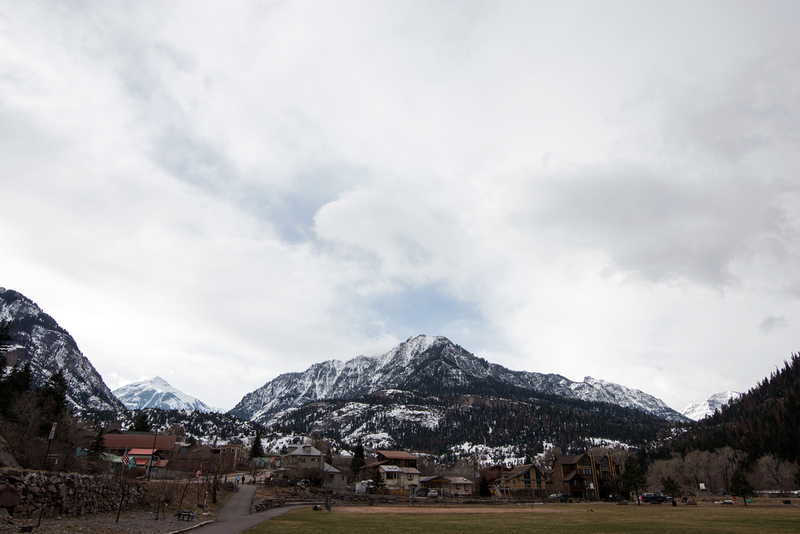 They are completely surrounded by mountains, and so no matter where you are in Ouray there are great views to be had. One of our nights there we stayed at a hotel that had its own hot spring pool, and we spent the evening relaxing in the hot spring as snow gently fell around us, clouds rolled over the surrounding peaks, and the late evening light made everything glow. It was absolute perfection and I won't soon forget it. These last images were all taken on our drive back to Kansas. Many were just shot out the window as we drove, though there were also a handful of times that Scott was kind enough to pull over (and in fact, he did so without prompting more than once). We passed through some stunning areas, and had some rather incredible conditions while going through a section of higher mountains. It made going back to Kansas even more difficult. Because Scott and I both loved the area so much, we have actually decided to head back out their for our spring break in a week. So, many more images of this incredible area will be showing up here soon!